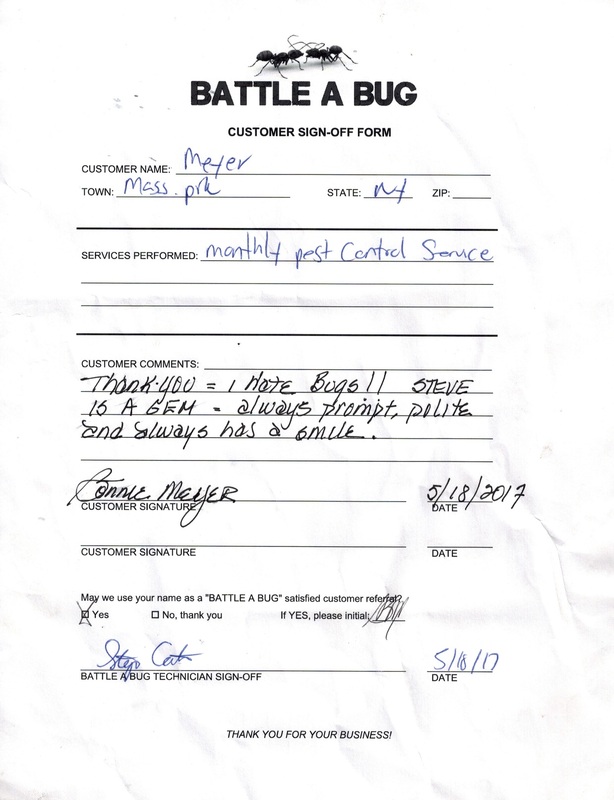 At Battle A Bug, customer satisfaction is our number one priority. We don’t leave the premises until you are 100% satisfied and we fully stand behind our services. Below are actual written testimonials from some of our satisfied customers.